I can see this one becoming controversial. Description: Demolish existing building and structures and construct a 12 level building comprising retail, commercial, 41 apartments and associated car parking. Personally I'd like to see these retained. The heritage buildings are part of the appeal of Hutt Street as a destination. Haven't one of these been the site of a proposed development before, or was that the next block up? Heritage or not those sorts of small dwellings don't belong in or around a CBD. They are limited to what can be done with them. It's not like you can incorporate the 'facades' into another building, it would look utterly ridiculous. There's always talk of street level interaction and activation. How much "activation" do you think you'll get out of those houses on street level? Not much. There's nothing at all special about them that cant be found in hundreds of others dwellings around Adelaide. This whole heritage thing is ridiculous. Next the footpaths will be heritage listed. What have those two buildings contributed, culturally, to our city and state? Was a former premier of significance born in one of them? Did the first govenor build and live in them? What..? If there's nothing significant culturally about those two buildings, then they shouldn't stand in the way of a development. You can say that about many of the historic buildings along Hutt Street. Apply those rules consistently and Hutt Street won't be distinguishable from any other street in the CBD. Many of these smaller heritage buildings are quite successfully used as offices for small businesses. rev wrote: Heritage or not those sorts of small dwellings don't belong in or around a CBD. Sorry Rev, that's a bit misguided. Imagine these configured as cafes, front and backyard, with outdoor music, etc. Also as wine bars at night. Some innovative design elements and it'd be awesome. I'm a nearby local, and would love that. There's only 1 wine bar in the region - need 2-3 ideally. Regardless i would happily welcome a 12 level development too. More people is good. Llessur2002 wrote: You can say that about many of the historic buildings along Hutt Street. Apply those rules consistently and Hutt Street won't be distinguishable from any other street in the CBD. They might work as small boutiquesque offices but that doesn't mean they should remain. 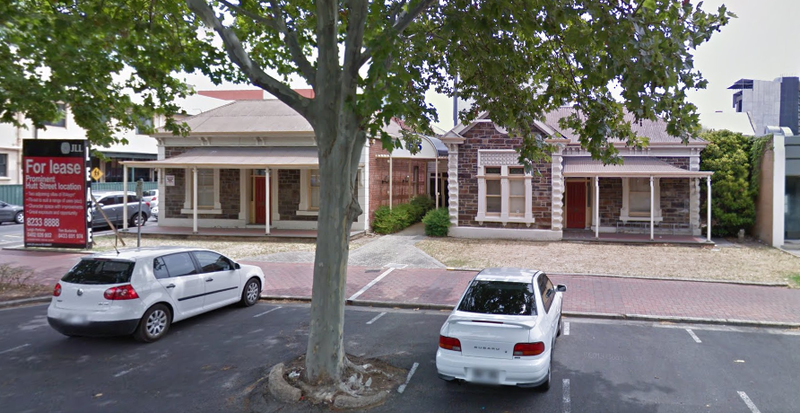 These sorts of small insignificant buildings that can be found across suburban Adelaide should have been gone long ago from our cbf and vicinity. We've lost significant buildings that were something to look at and were worth keeping and preserving. These two little dwellings pale in comparison to what's been lost. In a way I am with you on this one Rev, if a building offers no cultural or architectual benefit and can not be used in a modern context there doesn't appear to much point keeping it. The only part of disagree with is, just becuase we made mistakes in the past by demolishing prominet buildings, that doesn't mean we should repeat that mistake because the buildings we want to demolish now are less significant. The photo from Street View is a little misleading. It only shows the front, which looks like two detached cottages. Both cottages are actually the facade of a (two storey at the rear) red brick complex which goes back quite a depth. Still worth knocking down and building something else, however. They're obviously not heritage. If they were then the owner wouldn't be planning a 12 level development. Seems like we have a new NIMBY on the forum. Last edited by ghs on Fri Jul 29, 2016 12:04 pm, edited 1 time in total. Will only be a shame to see them go if they build something completely ugly there, but if the design is half decent then bash them down. They are the sorts of houses which would appropriately be heritage listed in the inner suburbs, but not in the CBD. Especially when you compare them to the two houses on the other side of the road which make this pair look pretty ordinary. Sounds a lot like "uh oh someone disagrees with me, better invoke the strawman fallacy and call him a NIMBY"
He has also been negative about demolishing similar types of buildings on Hindley street. ghs wrote: Seems like we have a new NIMBY on the forum. NIMBY's obviously not the right term to use given the fact that my location is clearly displayed beneath my username - I don't live in the city and therefore neither Hindley Street or Hutt Street could remotely be considered my back yard. I'm very much pro-development in Adelaide but just not at any cost. To be honest, with regards to these two buildings I will understand if they need to be demolished for the right development - I merely stated my personal preference that they be retained to protect the character of Hutt Street. If renders for a fantastic 12-storey building with excellent activation and character at street level were released then I wouldn't be overly devastated to see these two go. There are indeed many similar examples in our suburbs. I do disagree with previous comments that buildings should not be considered worthy of retention unless they were once home to "a former premier of significance" or "the first Governor" - but again, just my opinion. I'm cautious about any development which requires the removal of character buildings within the CBD. We only have a finite number after all. 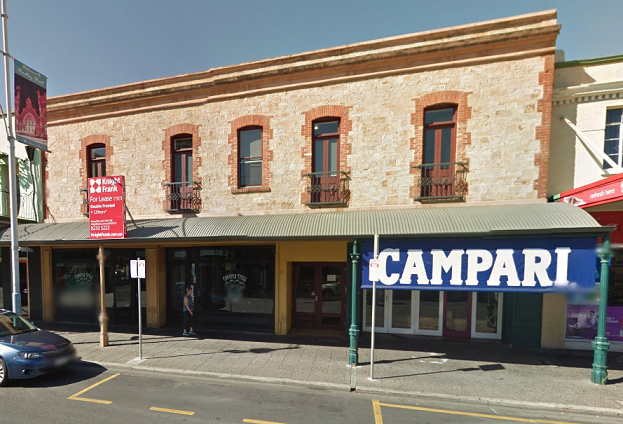 One building on Hindley Street actually - and that one I do feel is absolutely worthy of retaining, despite strongly supporting HQ in their search for a new home. It may not have housed any former premiers or governors but the building (which I would guess dates mid to late 1800s) is well-maintained, fairly unique in appearance for the CBD and contributes well to the streetscape of Hindley Street. It also has excellent potential for street-level activation - arguably more so than any replacement. As the bulk of what HQ will likely propose for the site is to the rear of that building, I do not think it would be impossible or unreasonable for it to be retained in some form. Last edited by Llessur2002 on Fri Jul 29, 2016 2:56 pm, edited 2 times in total.